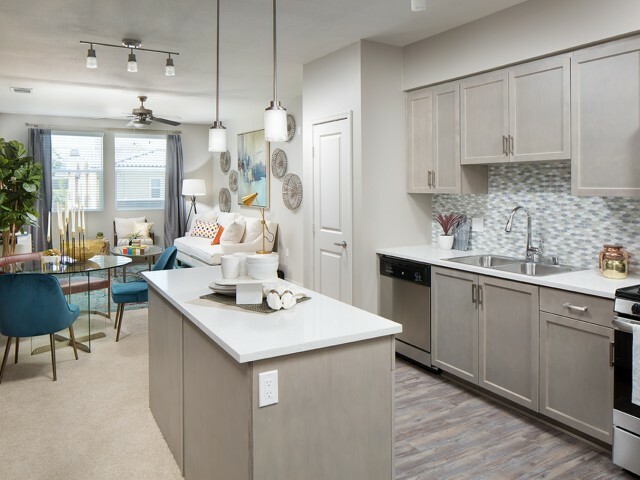 It’s the little things that make home, homey—delightful details like chef-caliber kitchens, stainless steel appliances, or designer fixtures and finishes. Of course, it’s also the big things. 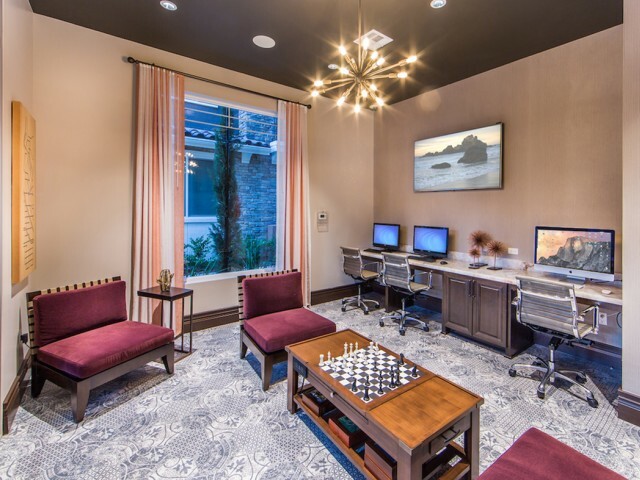 Like a resident lounge offering fun for the whole family, or an onsite pet park offering not one, but two areas for dogs of all sizes. 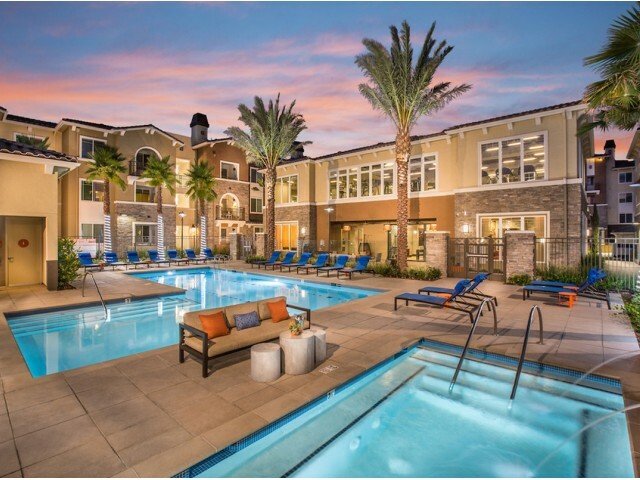 You could picture Valentia Apartments in your mind’s eye, but you don’t even have to. 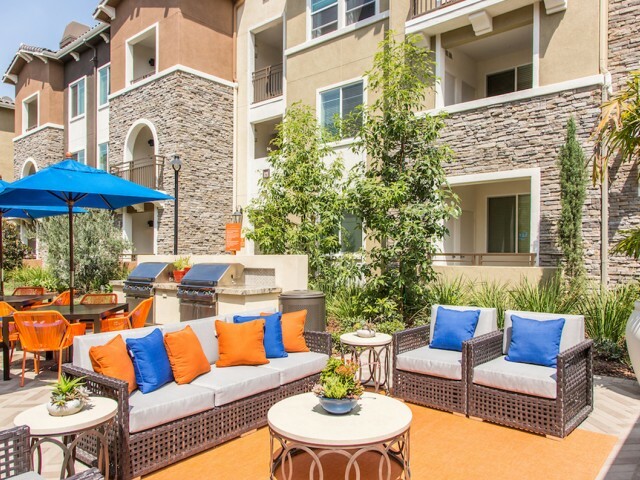 We’ve already captured our wonderful apartments in La Habra, CA for you. 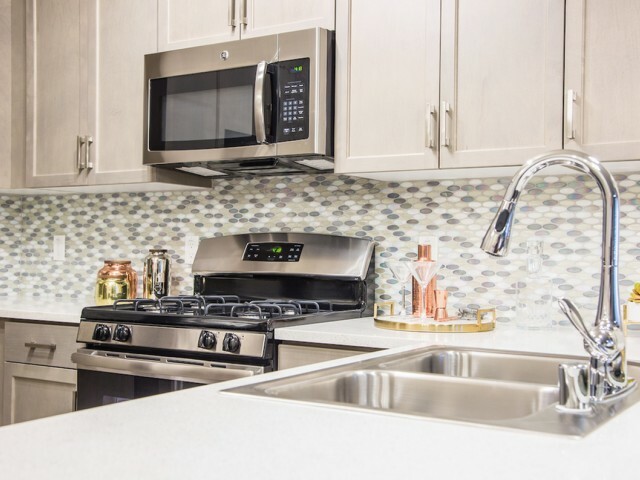 Chef-caliber kitchens in all our apartment homes. Seen here in Mindful Gray color scheme. 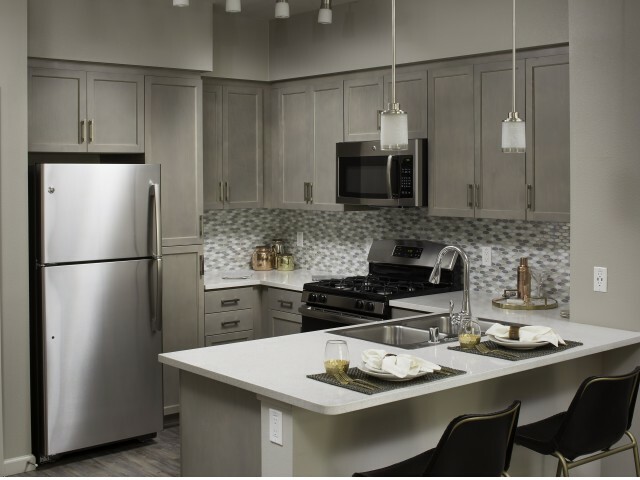 Stainless steel GE appliance package and durable quartz countertops. Valentia kitchens are loaded with everything you need to cook, gather and stay organized. 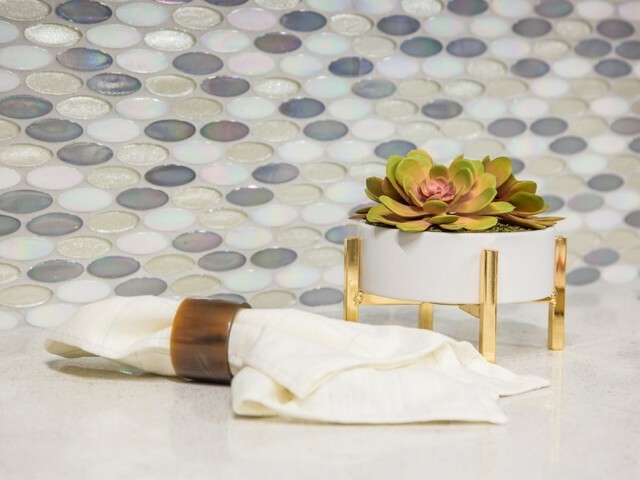 Oval iridescent tile back splash surrounds our Mindful Gray kitchens to provide that final touch of elegance. 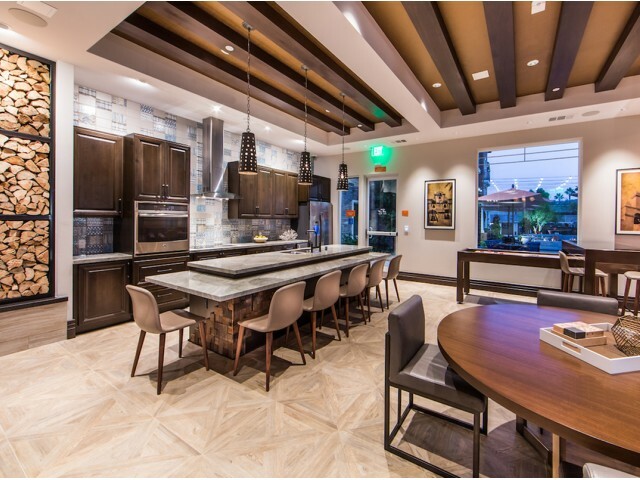 Make your kitchen the heart of the home. Seen here in Espresso color scheme. Choose your favorite look. Separate dining room space for a relaxing dinner at home. 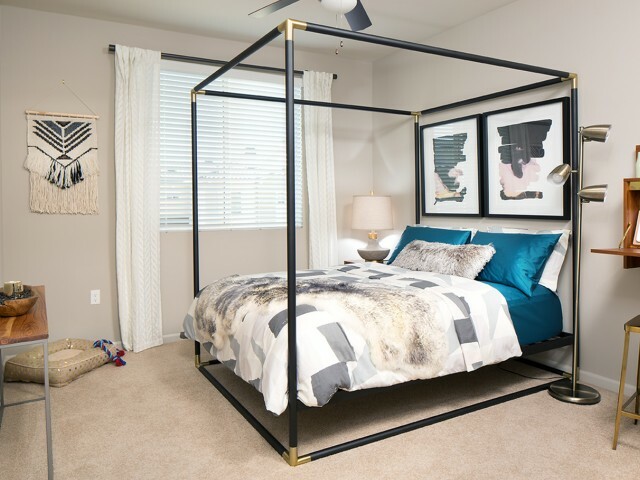 Valentia offers spacious master suites to rest and relax. 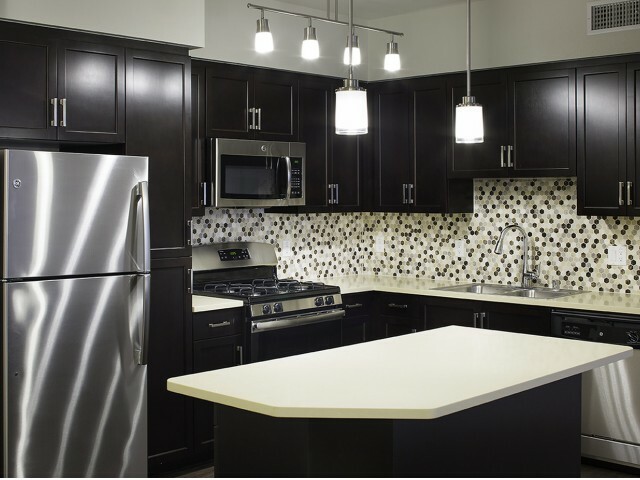 Quartz offers a durable and maintenance-free stone countertop material. 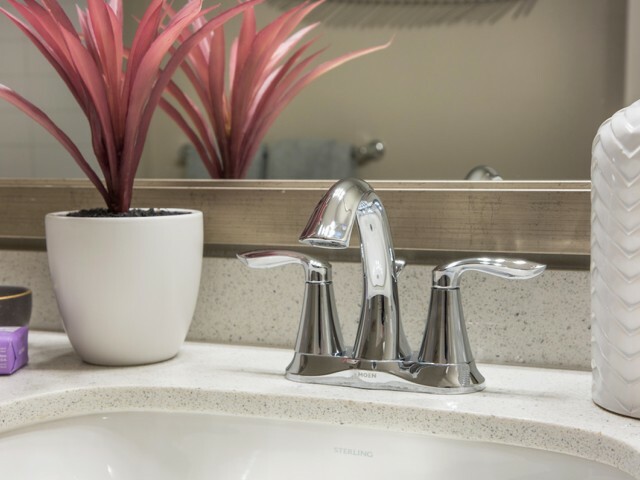 All our baths and kitchens have quartz countertops. 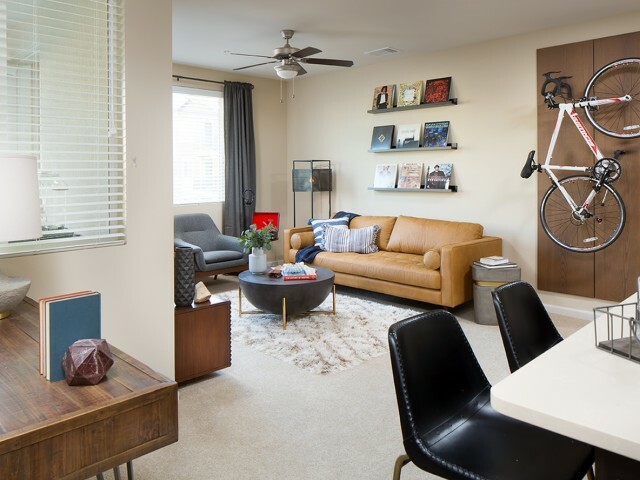 The living room that has more living room. 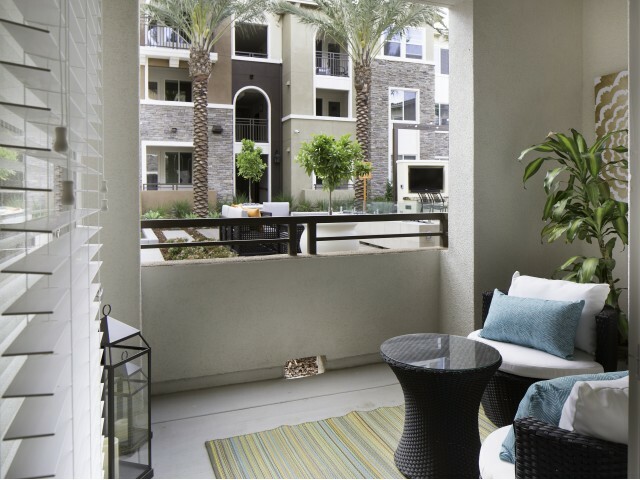 Enjoy spacious layouts. 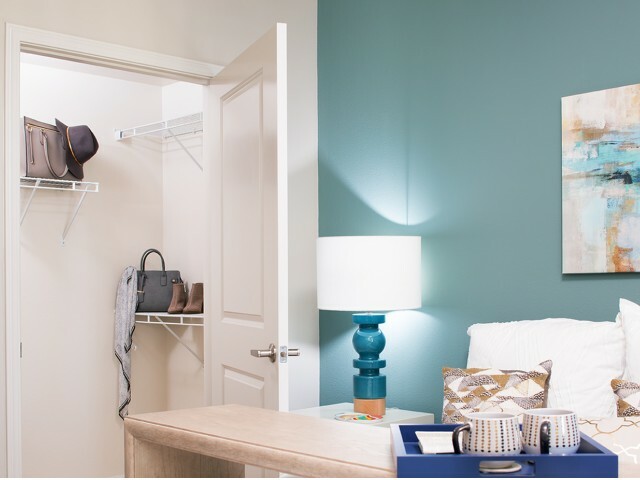 Valentia&apos;s Bedrooms offer spacious walk-in closets for all your storage needs. 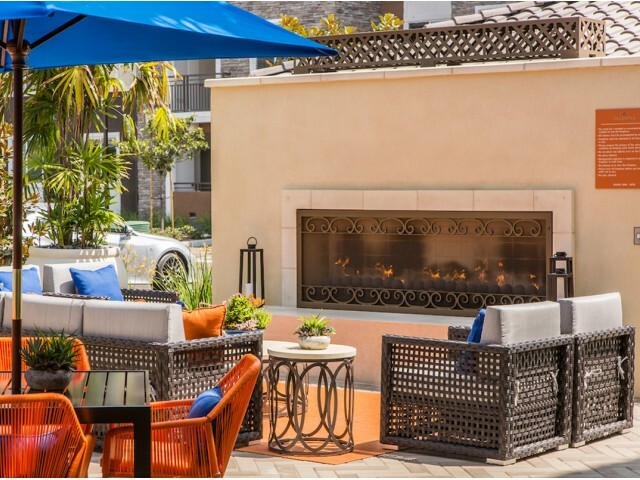 Create your own outdoor living room with our spacious patio that includes outdoor storage. 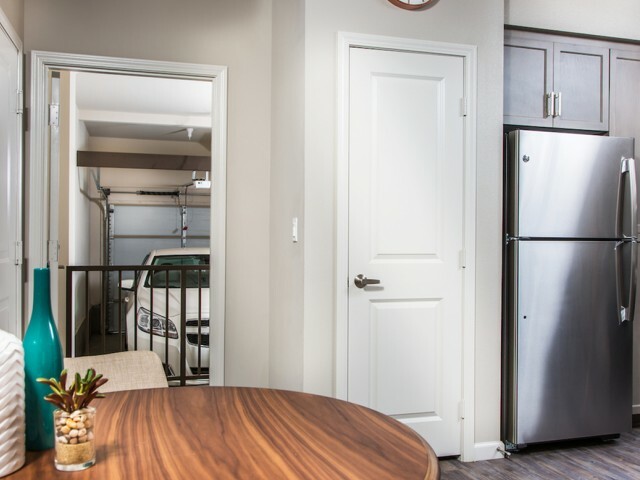 Select apartments come with attached garages for the ultimate in convenience and storage. 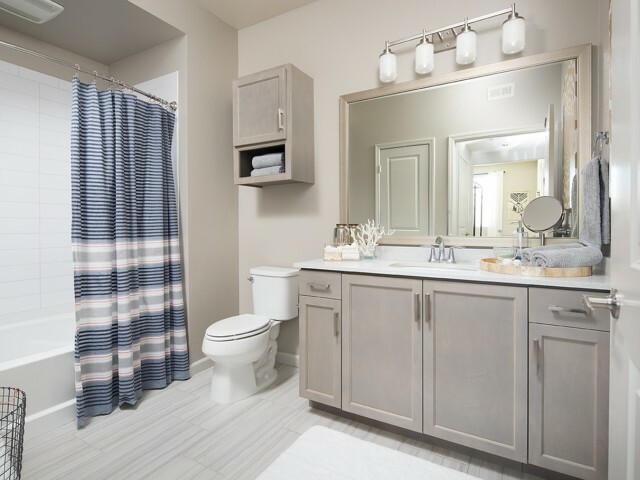 A picture perfect bathroom with quartz countertops, shaker cabinets, ceramic tile floors and framed mirrors. 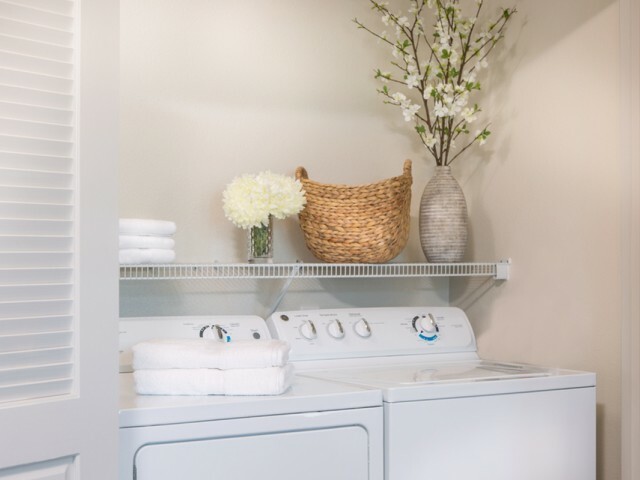 Within each home enjoy a brand-new GE washer and dryer. 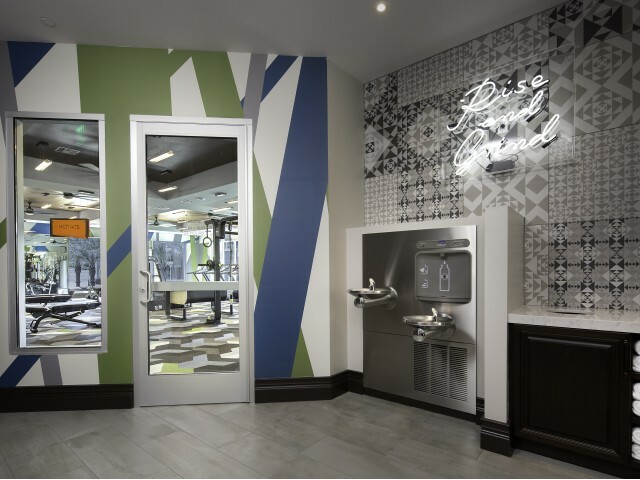 MOTIVATE is Valentia&apos;s 24-hour fitness center loaded with brand-new workout equipment. 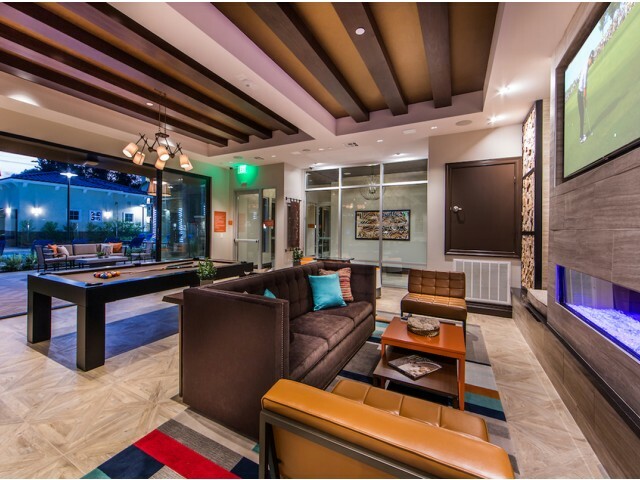 The Living Room lounge offers billiards, shuffle board and multiple televisions. 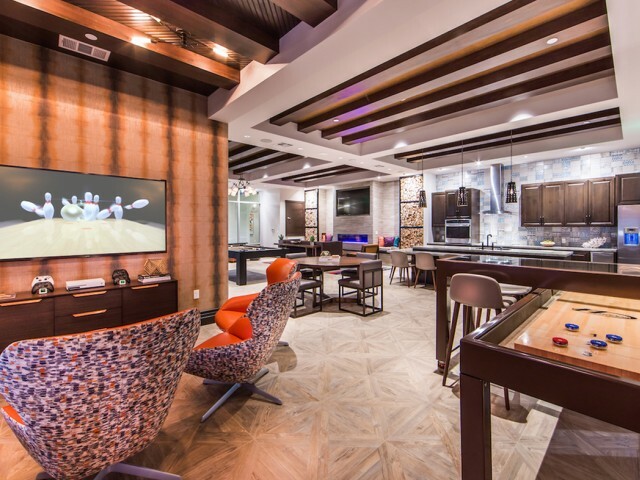 THE LIVING ROOM is Valentia&apos;s resident entertainment lounge. 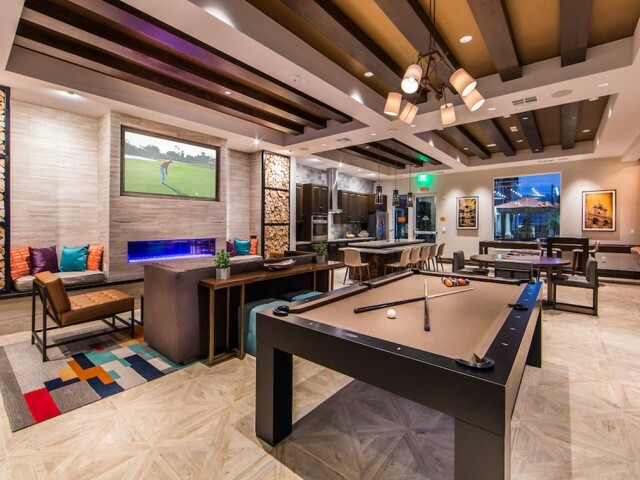 Indoor games make this the ultimate social zone! 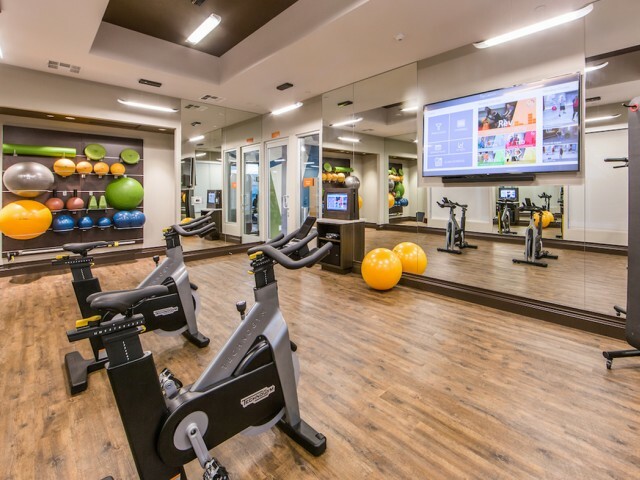 FOCUS is a private workout studio complete wth Fitness On Demand. 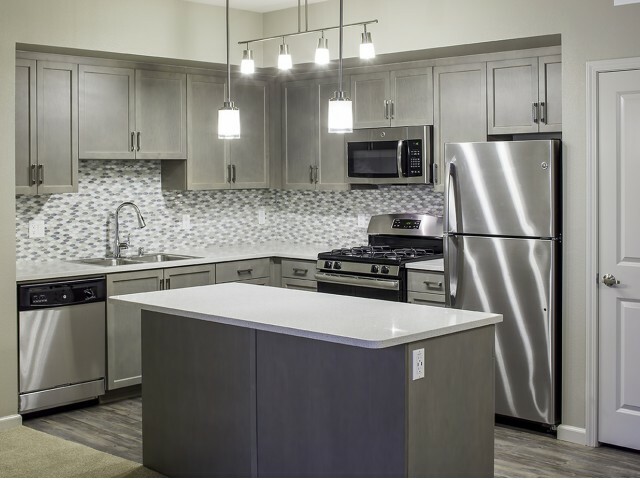 Inside The Living Room is a gourmet kitchen our residents can use for upscale entertaining. 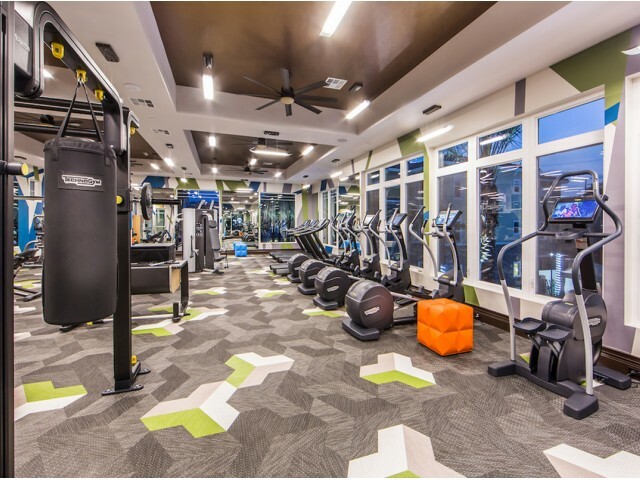 On the second floor is our fitness complex. 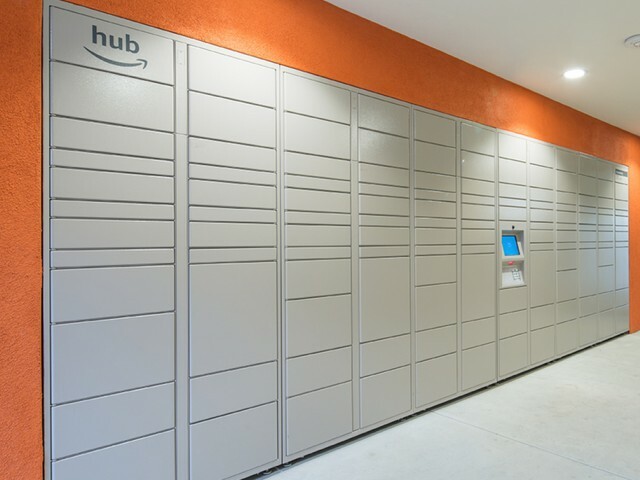 It is open 24 hours a day for your convenience. Relax in The Living Room, Valentia&apos;s all inclusive resident lounge. Assemble is Valentia&apos;s private conference room. 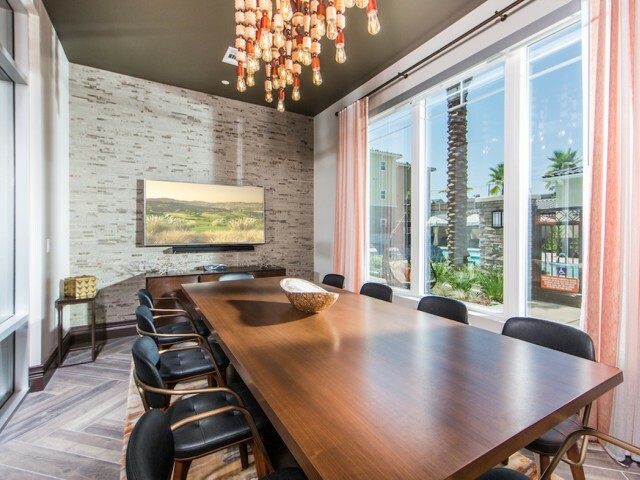 Great for meetings, brainstorm sessions or a private dinner with close friends. 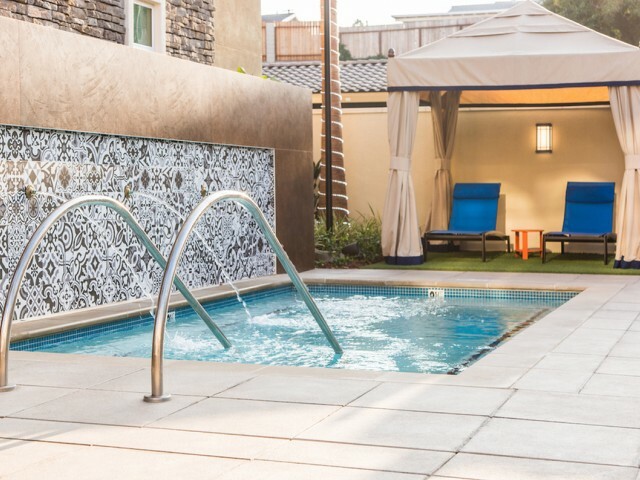 After a long day or an intense workout, relax your muscles in our majestic spa. Spend your nights under the stars. Valentia&apos;s outdoor terrace is great for time alone or a friendly football get together. 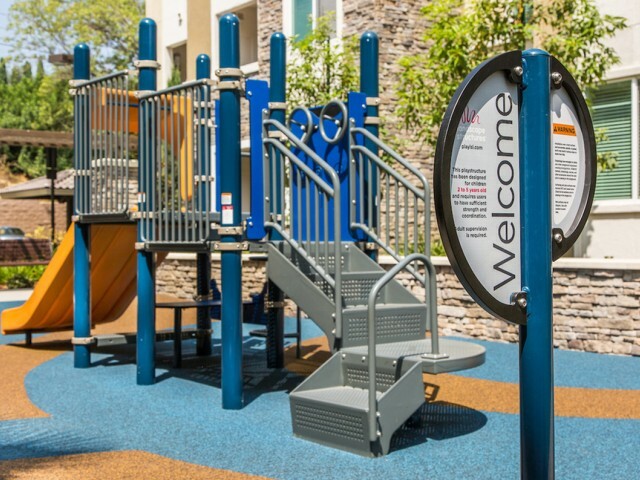 Valentia has a pet play park on-site that is enclosed. Let your four legged friends run free at home. At our entrance is a special area designated to thank and remember all of service members. 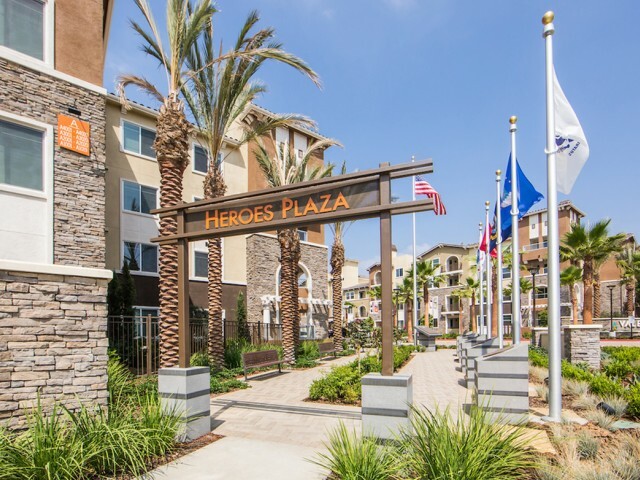 Heroes Plaza is for anyone to enjoy and be moved by. 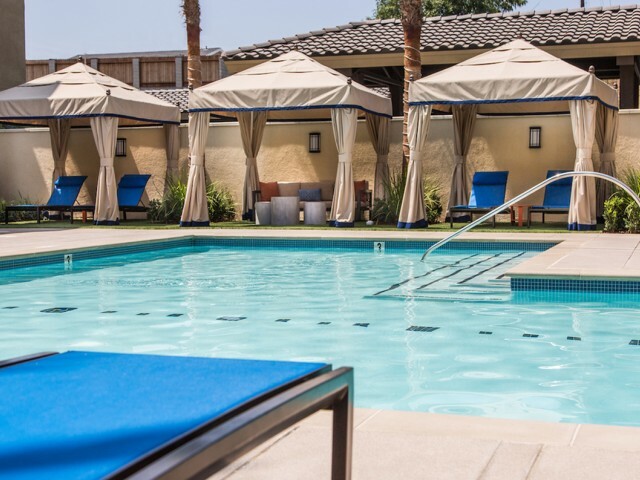 Enjoy the sun and then retreat from the sun in our resort-style cabanas. Valentia offers multiple places to relax after a hard day. Valentia Apartments are pet friendly and that includes puppies and kittens. *Some breed restrictions apply. 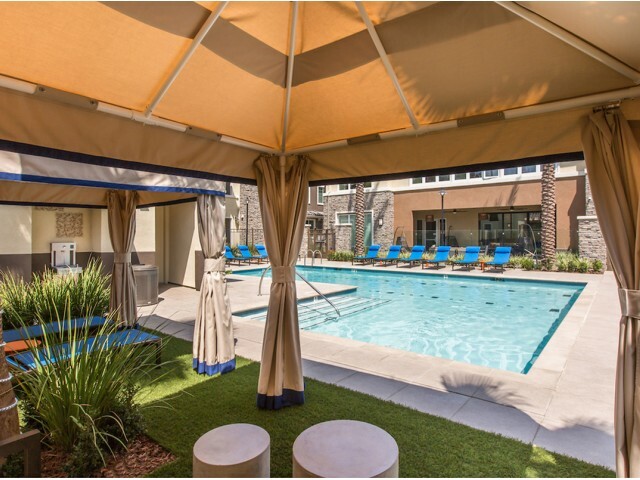 Claim your spot in the shade and be able to casually watch your family or friends enjoy the pool. 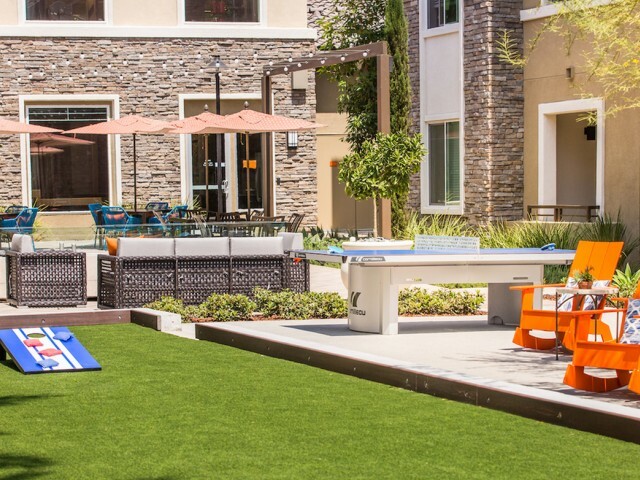 Valentia&apos;s outdoor games courtyard has bocce ball, a pool table and over-sized Jenga. 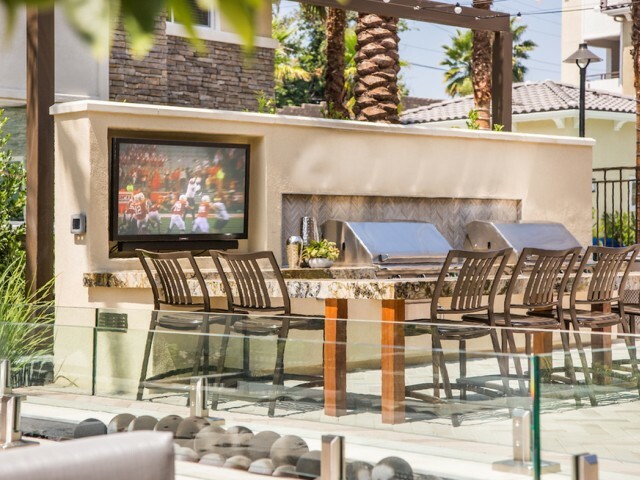 Outdoor living rooms make for a cozy place to meet your neighbors or enjoy friends. 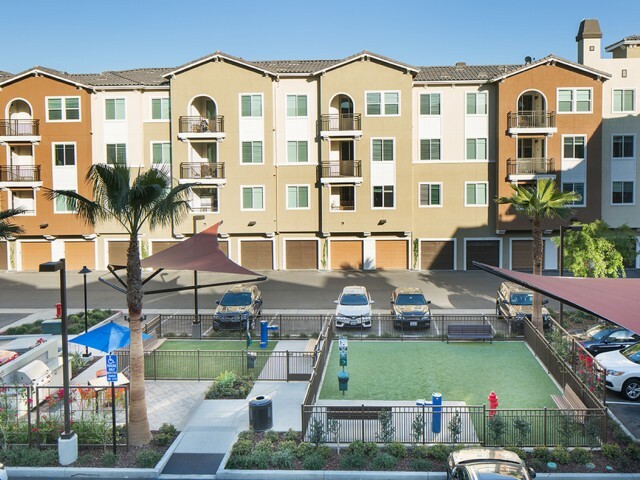 Carefree is Valentia&apos;s on-site tot lot complete with rubbing flooring. Looking for a new home for you and your pet? 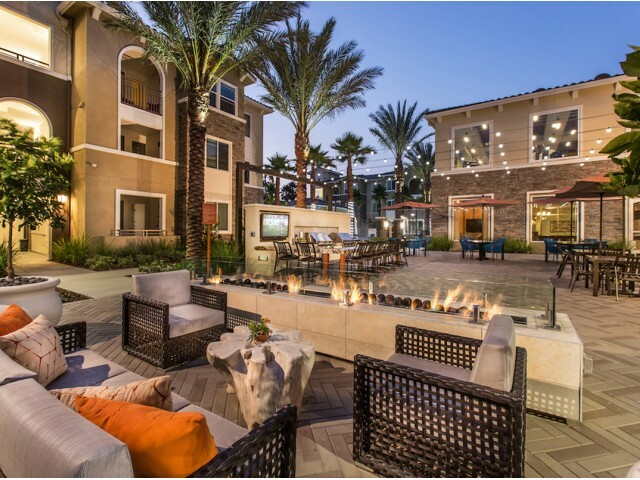 We are one of the few pet friendly communities in the area and welcome you and your pet (some restrictions apply). 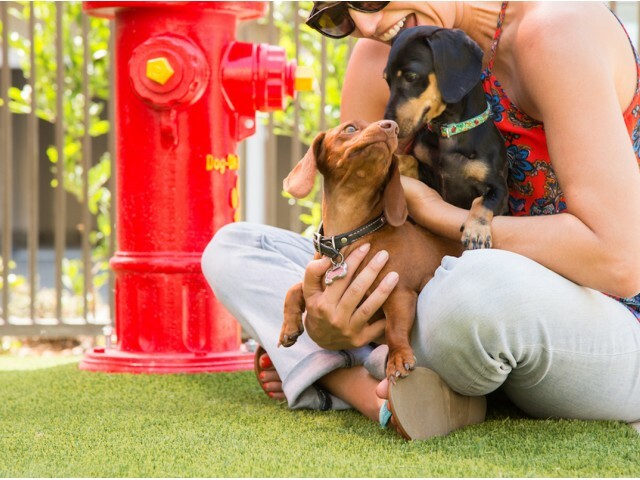 Pet Overview: Dogs and cats, puppies and kittens under 1 year old, are welcome at our community. All pet residents must have their health check and shots, and be spayed or neutered by 6 months of age. A signed animal addendum is required to be on file at our leasing office. One dog per apartment, two (2) max pets allowed.